Fall in love all over again and be captivated by the seasons of the Adelaide Hills. Romantic, welcoming, and always changing, the Adelaide Hills has long been a peaceful country retreat for the people of Adelaide. The variety of its landscapes, the quality of its food and wine, the abundance of its wildlife and the richness of its culture make for an engaging and memorable destination. 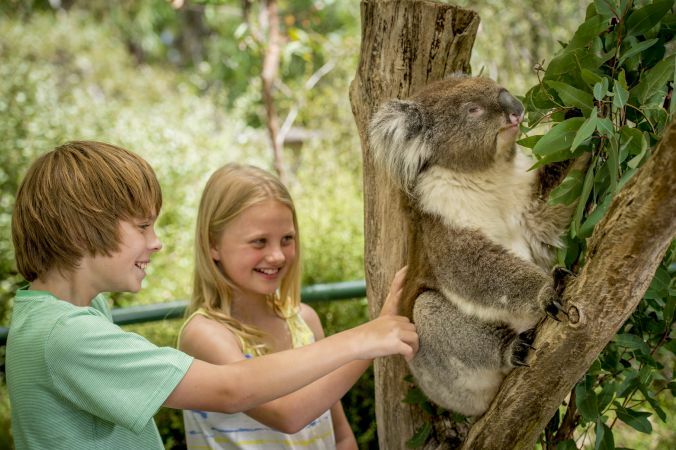 We’ve scoured the region to bring you the very best experiences, from wineries and craft breweries to picking your own fruit, cuddling koalas and exploring towns and villages. Let us introduce you to some of the experiences and places that will leave you wanting more. Whether you are planning your first-ever visit to the Adelaide Hills or seeking inspiration for a regular return visit, our experience and network of partners will prove invaluable. Although you can be in the Adelaide Hills in just 20 minutes from Adelaide, it feels a world away. Come for the day and stay for the night, waking up in a cosy cottage, historic pub, luxury manor or private villa. Whether you love cycling, walking, horse-riding, gardens, shopping, history, golf, family activities or a good dose of pampering you’ll find suggestions on our See & Do page.